4th cooler... i little up grades from my other budget builds!!! Motorboatyourself.com Forums > Cooler Radios > Your Cooler Radio > 4th cooler... i little up grades from my other budget builds!!! need to cut out area for drop in, add canoe handles and clean up wiring!!! Re: 4th cooler... i little up grades from my other budget builds!!! Re: Re: Re: 4th cooler... i little up grades from my other budget builds!!! Thanks... And it sounds real good too. Adding that pac-10LD made such a difference in boosting the Kenwood 1502S. With out it the gain was all the way up and the iPod was also. With it the amp is halfway and the iPod 3/4z up. Where did you get the three way voltmeter/usb/cigarette lighter combo? she is done and now playing music!!! Did you just use the screws that came with the speakers or go grab some bolts? Torn on whether or not to just use what came with the speakers or go grab something to tighten it up just a bit more. i grabbed some toggle bolts. went to home depot and bought 2 inch and i believe the toggle was 1/8. whatever the smallest one was. i got the one in the red and white plastic box. Did you do a terminal block or anything. Trying to determine how I want to do my sis's wiring. I want one switch for amp power, one switch to turn out side speakers, and one switch to turn on cell charger/voltmeter. Trying to determine on whether to tie everything into one package to the battery or to do a different way. No terminal block bro. 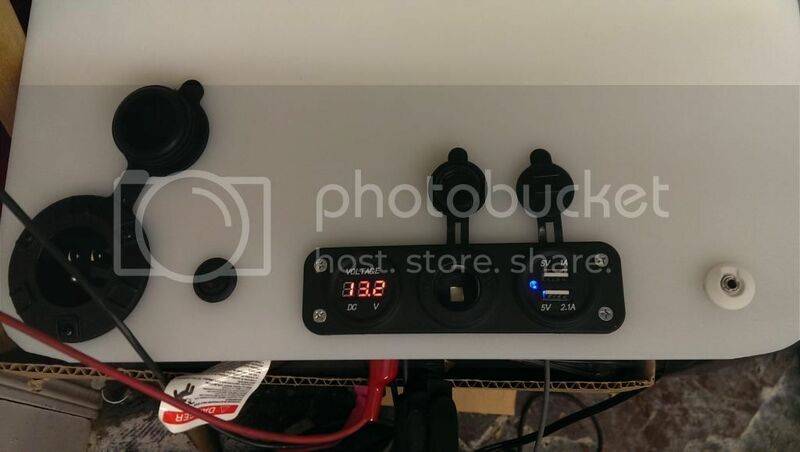 Display, USB, 12 V plug all daisy chained together. Amp and above mentioned turn on with one lighted switch. I don't think you need to run a switch for 12V plug/display. That will not be using to much juice. Just turn that on when the amp comes on. Save you a switch, and have that other switch just for your side speakers. there is no drain. i gave it to my brother and have not seen it in use. 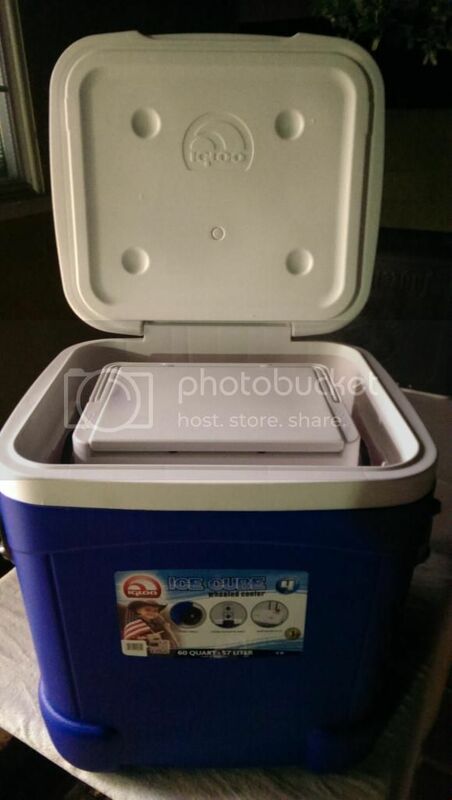 what we did buy was 2 of those blue ice containers that you freeze and reuse so there is no problem of ice melting. 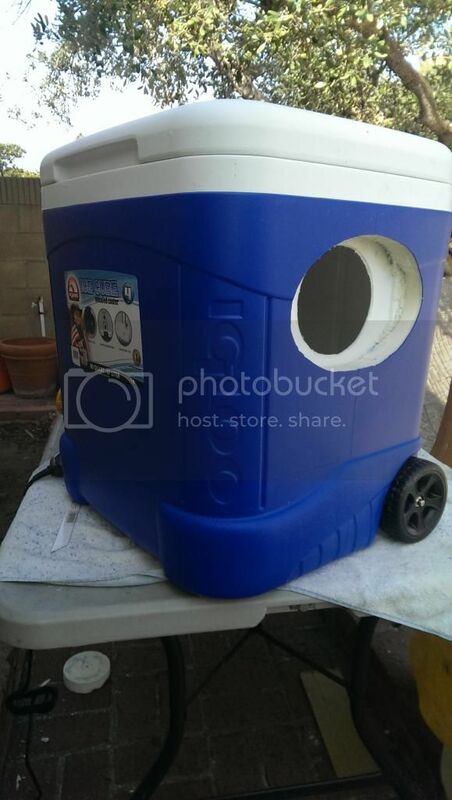 i would think if he does use ice and its time to drain i would just lay the cooler on its handle and let the water drain out the back side. then just use a towel and dry up the area. 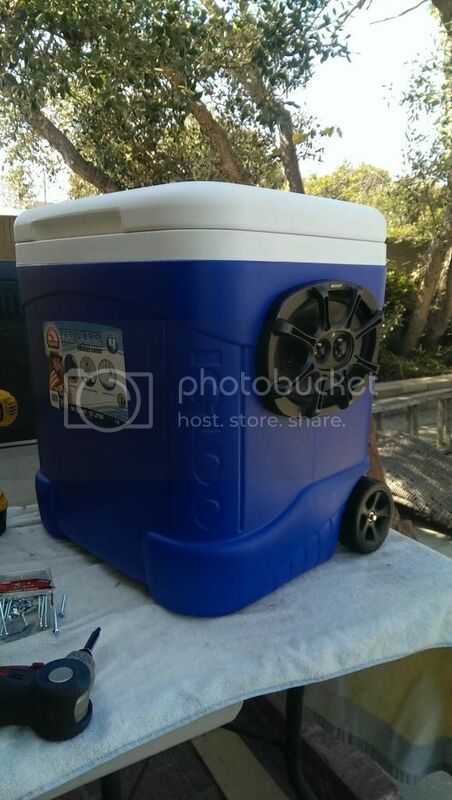 Why not make the mini cooler removable and dump any water when its melted. Seems like the easiest solution to me. I would do that, but when it was all good and done I didn't like the way it looked due to the cut in gap. That's why I siliconed it. 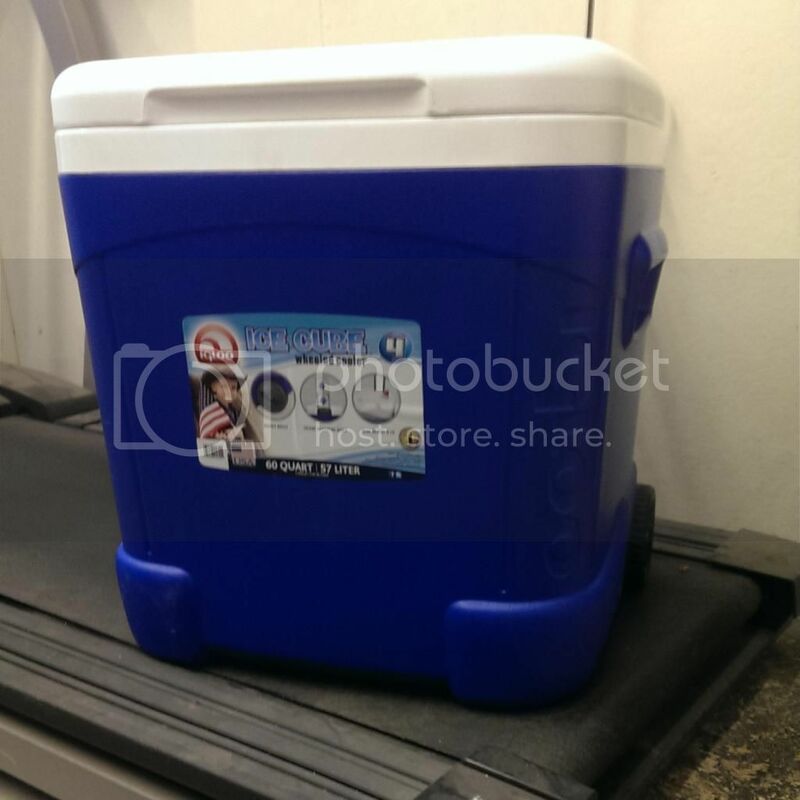 My 2nd and 3rd coolers where trash cans were used those slide in and out real ez.